As customer volume increases and climate conditions plunge, winter soaps can help a car wash's traffic flow and equipment performance. In some places, winter is often the busiest time of year at the wash. Once you get snow and road salt on your car, you want to drive it straight to the car wash. Operators need to make sure the wash is in good working order and equipment doesn’t freeze. Freezing temperatures can occur at any time, so it’s always important to prepare. Switching to winter soaps is the key to continued operation during these busy months. You’ll need different chemicals than the ones that are standard to your wash process. Kleen-Rite Corp. can help you there! This post highlights some of Kleen-Rite’s winter chemicals for sale. Avoid the risk of frozen brushes in the bay! Use anti-freeze detergent for your foam brush. Weep water is essential to keep your high pressure wand from freezing. The foam brush can also use weep water, but with today’s high cost of water and sewer, anti-freeze detergent tends to be more cost-effective. Plus, you’re only using detergent when washing cars, and weep systems run all the time, even if nobody is washing. Anti-freeze detergent is a little more expensive than regular soap, but worth it since frozen brushes are the last thing you want. This high-foaming formula offers quick and easy freeze protection. The pre-mixed detergent is convenient for consistent results. It keeps your brushes pliable, since you won’t have water or soap buildup on the brush. It even works in temperatures down to 10 below 0. Kleen-Rite anti-freeze detergent is available in 5, 30, and 55 gallon bulk quantities! If you want to continue offering triple foam all year round, switch to winter triple foam. What sets this apart from regular triple foam? The added methanol keeps your foam brush from freezing. This methanol-based, high-sudsing detergent is great for self-serve or in-bay automatics. The free-rinsing capabilities keep the foamers in your automatic wash operating. You can sell your customers the extra services they usually buy, even in cold weather. The winter formula features vibrant colors for great customer appeal. Use this foam for many applications in all types of washes. It’s great for automatic conveyors, in-bay automatics and self-serve bays. It produces rich foam levels, pleasant scents, and bright colors. Buy Kleen-Rite winter triple foam in blue, pink, and yellow colors. There are 5, 30, and 55 gallon sizes available. Not only does road salt look bad, it can also promote rust and affect the mechanics of your vehicle. It’s important to keep your car clean in all weather types. Road salt can still do damage once the temperature rises back up to above 35 degrees Fahrenheit. 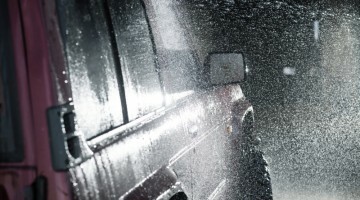 More salt attracts more water, which accelerates your car’s oxidation process and leads to rust. You may find rust on your car doors, fender, and hood, but it can also hide underneath your car. If you don’t do anything about the rust, you could get serious problems with your muffler, brake line, or tires. Luckily, Simoniz De-Salt can help prevent rust. It is specially formulated to remove salt and calcium residue. It also counteracts the activity of salt brines and rock salt on vehicle surfaces. Salt trucks often spray a mixture of salt and other chemicals and additives on the ground. This can be damaging to vehicle undersides. De-Salt neutralizes these road de-icing chemicals and additives to fight corrosion. De-Salt is great for prep guns, thumbguns, or presoak arches. Cover your entire vehicle in De-Salt at the wash, working from the top of the car down towards the bottom. Then rinse off the vehicle. Use De-Salt as a step before you select the Presoak option. In warmer months, many car wash customers will use Bug Remover, but this function gets little use in cold winter months. Operators who swap their Bug Remover for De-Salt in the winter can easily increase profits on an unused function. Kleen-Rite offers Simoniz De-Salt in 5, 30, and 55 gallon sizes. While no longer as common as it used to be, you can also hand mix soap with methanol. The methanol gives the soap its anti-freezing properties. This traditional practice is nowhere as convenient as modern, pre-mixed, anti-freeze soap solutions. You must make sure you put the same amount of soap in every time. Otherwise, you’ll have to continually adjust the pressure, whether it’s the air or the pump pressure on your foamy brush system. When you buy pre-made antifreeze soap, you’ll get the same consistent mixture at all times. It’s important to combat cold winter weather with the proper chemicals. Remember, when you switch to winter soaps, you need to change your hydrominder tips; otherwise, freezing can still occur. 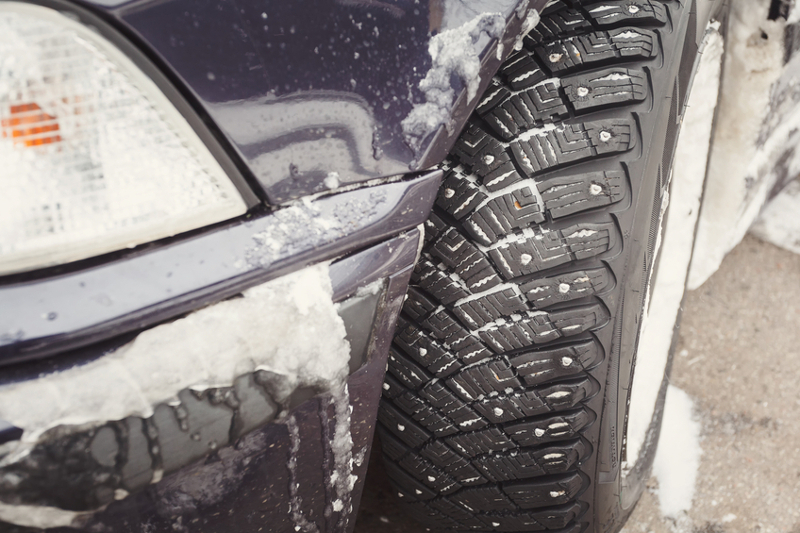 If your car wash location has icy wintry conditions, it’s essential to stock up on the right winter supplies. Kleen-Rite Corp provided this Sponsored Blog. For more than 50 years, Kleen-Rite supplies car wash owners with the widest selection of car wash equipment at the best possible prices. The Kleen-Rite creed is to be “Your reliable supplier for the car wash industry” and provide “The best for less!” because the customers are the foundation of the business. Whatever your car wash needs — from pumps and pump accessories to vending products and vacuums — you will find it at Kleen-Rite Corp. Kleen-Rite’s car wash superstore is a one-stop shop for all your car wash supply needs. Shop Kleen-Rite’s winter soaps and chemicals here: https://www.kleen-ritecorp.com/c-58-winter-chemicals.aspx. For more information visit Kleen-Rite’s website or call toll free 800-233-3873.